PlayGround-LA Blog: Inaugural PlayGround-LA Writers Pool Announced! Inaugural PlayGround-LA Writers Pool Announced! PlayGround-LA, Los Angeles’s incubator for a new generation of playwrights, is pleased to announce the thirty-six playwrights selected for the inaugural PlayGround-LA Writers Pool. Over the course of the upcoming season (PlayGround-LA’s third! ), these writers will generate nearly 150 original short plays, of which 36 will be developed as part of Monday Night PlayGround, a monthly script-in-hand staged reading series. Each month, PlayGround-LA announces a topic and invites members of the Writers Pool to submit original ten-minute plays inspired by the topic and written in just four-and-a-half days. The top six scripts are staged by leading local directors and actors and presented before a live audience on second Mondays, October-March, at the Zephyr Theatre in West Hollywood. The 2014-15 season opens at the Zephyr on Monday, October 13 and continues on November 10, December 8, January 12, February 9 and March 9. Six-admission priority-seating subscriptions are available for $75 and individual general admission tickets are $15. For more information and to purchase subscriptions and tickets, visit http://PlayGround-LA.org/Monday. PlayGround-LA is the first regional expansion of the celebrated Bay Area playwright incubator and theatre community hub, PlayGround(SF). PlayGround was launched in San Francisco in 1994 by co-founders Jim Kleinmann, Brighde Mullins and Denise Shama. In 1996, Kleinmann became PlayGround’s first Artistic Director. 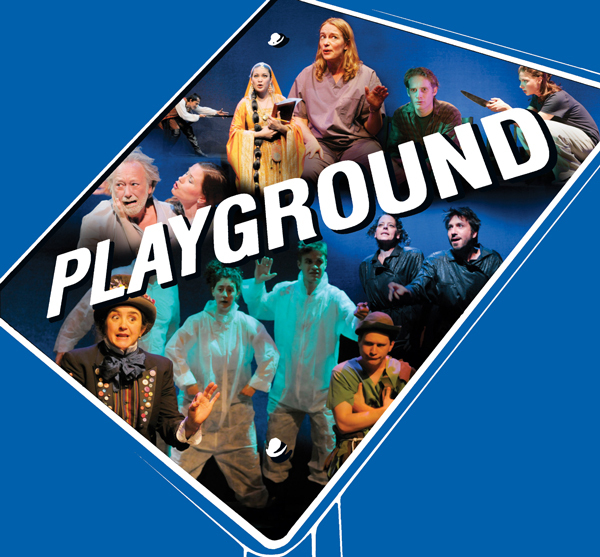 Since its founding, PlayGround has developed and staged nearly 700 original ten-minute plays by 200 Bay Area early-career writers and has commissioned/developed 54 full-length plays by distinguished PlayGround alumni. In the process of staging those works, PlayGround has helped to identify some of the leading emerging writers and, at the same time, has engendered the creation of a true community of theatre artists, bringing together hundreds of local actors, directors and playwrights. For most if not all of the participating writers, PlayGround is the first professional staging their work has received and serves as their introduction into the professional theatre community.